Besides the Google Penguin 4.0 update that has been implemented in the Google algorithm, there is also another interesting development. The ‘mobile first’ development continues to expand. After the ‘mobile usability update’, Google has decided to continue this expansion in their Google Search Index. 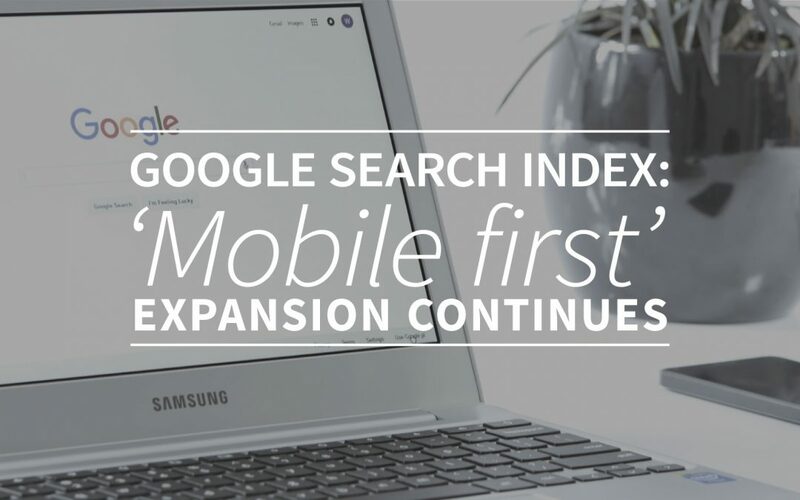 In this blog you’ll learn what changes will be implemented in the new ‘mobile first’ Google Search Index and how they influence the search engine. Lately, Google has been putting some pressure on the mobile optimization market. These mobile devices bring a lot of new opportunities like location based searches and more personalised search enige results. Also, most of the world uses their mobile device on a daily basis. These mobile devices are the future of communication and that’s exactly why Google makes the changes in their Google Search Index. Their vision is to implement their ‘mobile first’ strategy in every small part of the Google algorithm. What changes in the Google Search Index? This new change in the Google Search Index means there will be two seperate indexes for mobile devices and desktops. The mobile device index will be the main Google Search Index. New updates and other changes will be implemented in this new mobile first algorithm. Of course, his is something that could have been expected after the recent developments in the mobile usability field. What to expect and how this will work is still a mistery, but we’ll follow these developments through the following months. So, keep an eye on our blog to make sure that you don’t miss the latest news about this update. For now, we just have to wait and see what will be the search impacts of this update. What remains the same: mobile-friendly is still a priority. So make sure that your website and content are mobile-friendly, this way you’ll be right on track to quickly apply these changes in your own strategy.